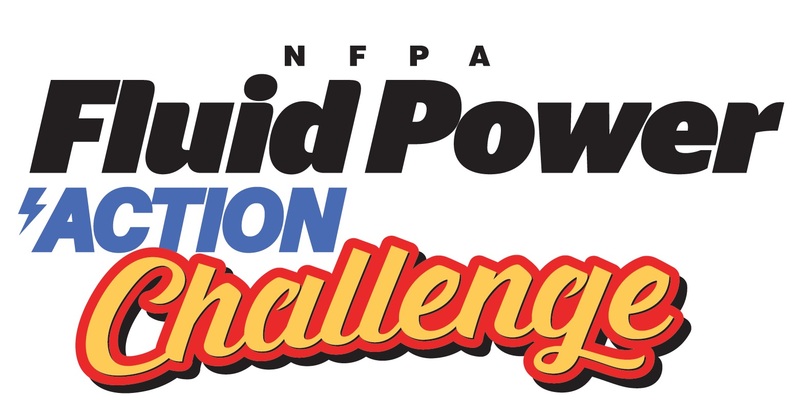 The NFPA Fluid Power Action Challenge is a competition that challenges middle school students to solve an engineering problem using fluid power. Students work in teams to design and build a fluid power machine, and then compete with other teams in a timed competition! The Challenge gives kids experience in hands-on learning, teamwork, problem-solving and perseverance. It introduces them to careers in the fluid power industry and creates an environment where failing is ok, because it’s the best way to learn and succeed. In the Fluid Power Action Challenge, teams are asked to design and build a simple machine that uses Fluid Power to move small objects from one location to another. Over the course of several weeks, middle school students learn about fluid power with their team and have the opportunity to experiment with the Challenge materials before competing against other teams in a timed event. They travel to their regional challenge event to compete against other teams. Points are awarded for various aspects throughout the contest – including design, teamwork, portfolio, and of course, effectiveness of the machine built. Teams with the top points will win the local/regional competition.